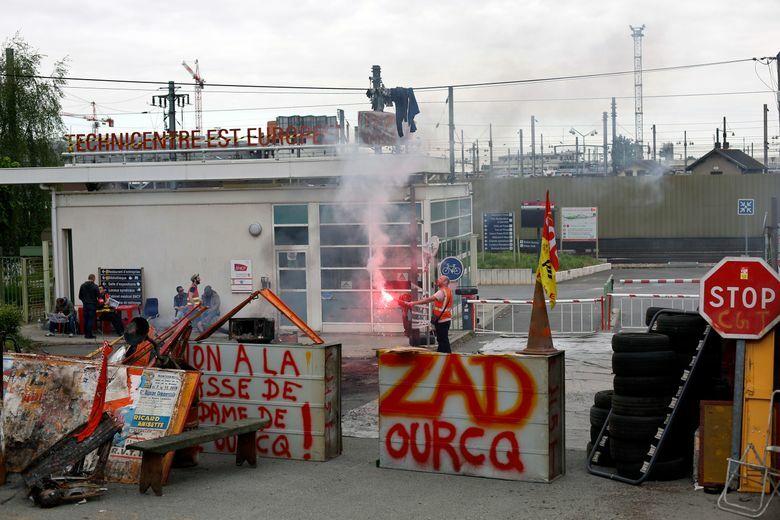 PARIS (AP) — Striking French train workers have occupied a building in a surprise protest against President Emmanuel Macron’s changes to the state-run rail company. 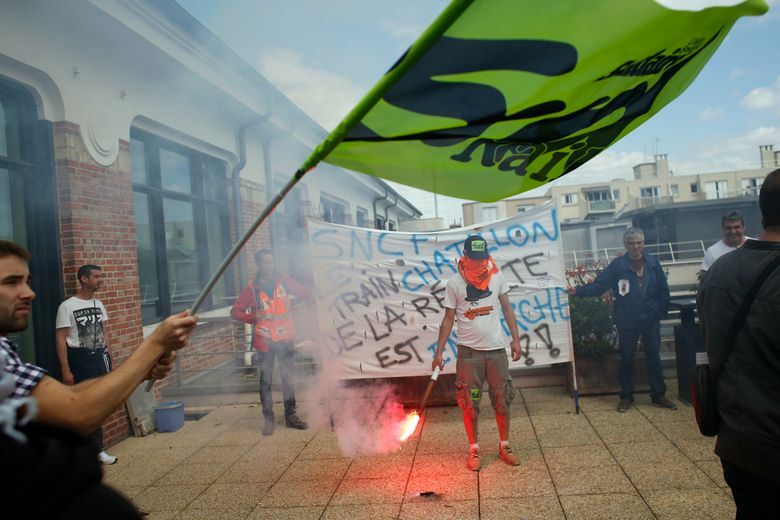 At least 150 union activists mounted fire stairs to enter the freight offices of rail company SNCF in the Paris suburb of Clichy in Monday’s protest action. Riot police surrounded the site and blocked the road outside. Protesters lit flares, hung huge banners from windows and sung protest songs but the atmosphere was calm. Many of the employees appeared to have left the building. It was the latest protest action by workers angry over Macron’s overhaul of the economy. 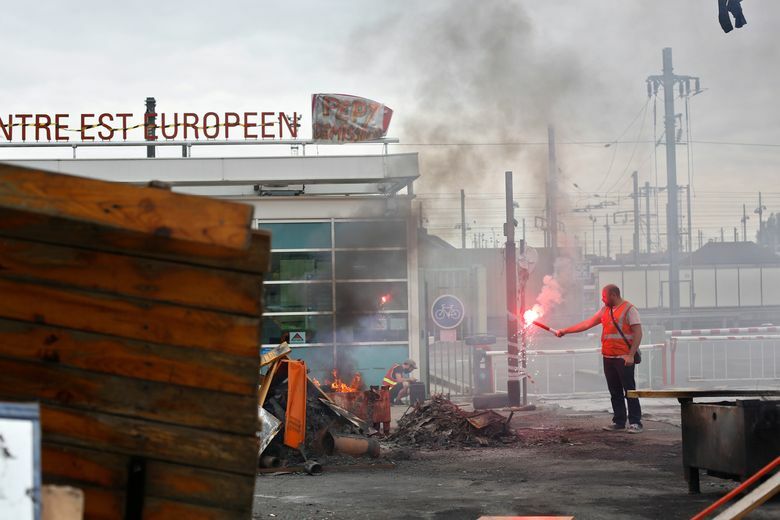 Most French trains were cancelled Monday, the ninth day of a nationwide strike over a plan to take away worker benefits to allow the company to open up to competition.